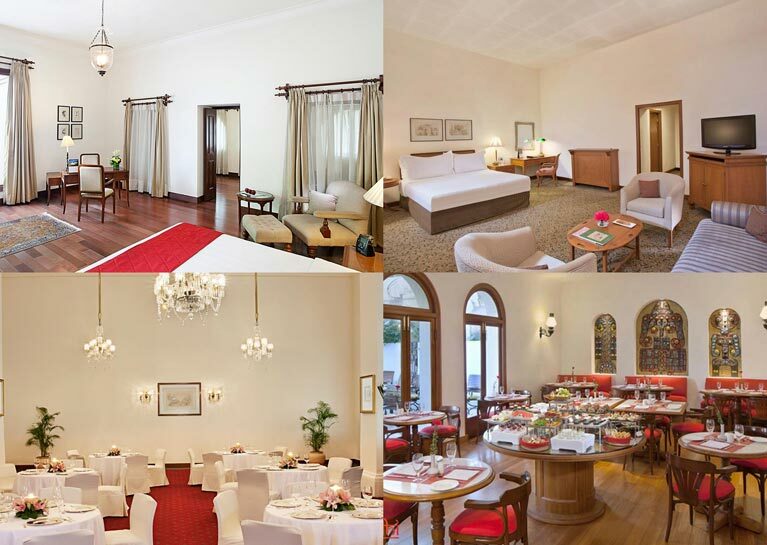 Oberoi Hotels and Resorts, from the Oberoi Group needs no introduction and their exquisite property Maidens Hotel nestled in a quaint corner of the capital city, is no different. 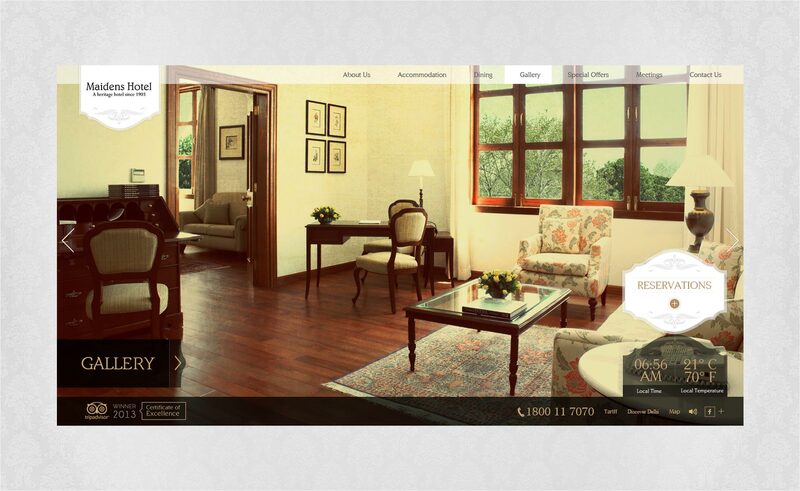 Oberoi Maidens Hotel spells heritage and the essence of old world charm, a world transcending the echelons of luxury. 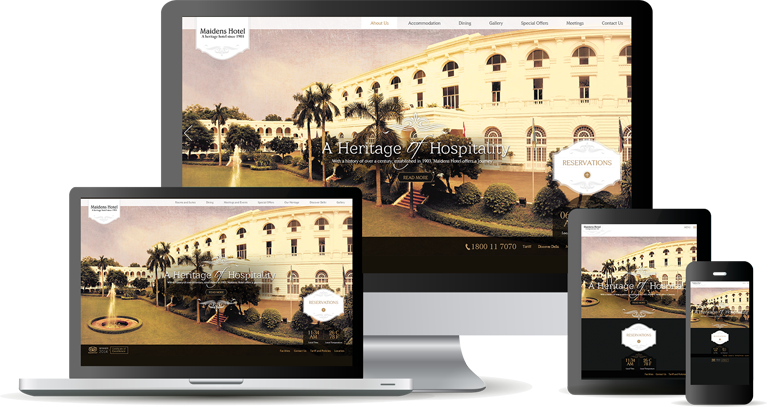 Our challenge, and at the same time, our opportunity was that we had to translate the aura of Oberoi Maidens into a spectacular website, nothing less than the experience of the property itself. 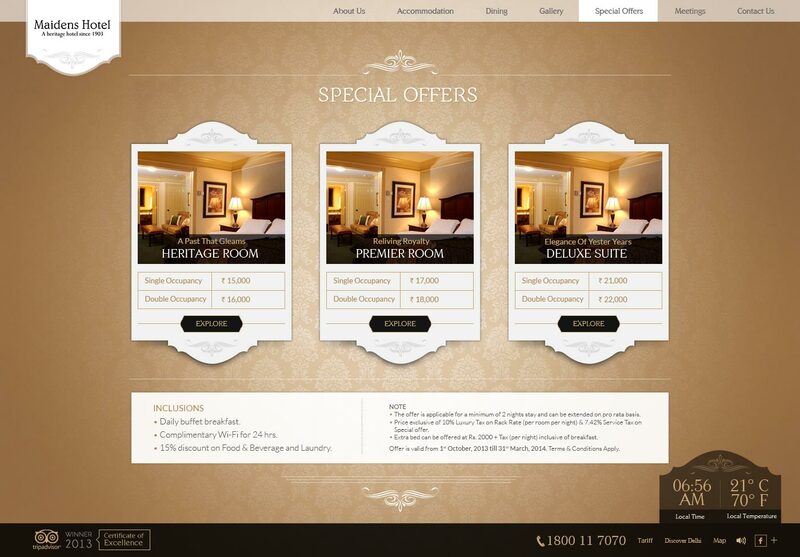 While the opulence of an Oberoi property is described with just its name, we decided that the messaging, including everything from the content to the design needed to reflect an understated elegance. Also, the hospitality marvel that thrives on incredible customer experiences needed an online space that is not just seamless, but as hospitable as the hotel and its staff. Right from booking accommodation, reserving a table for two, to the checkout process, the website responded to all the needs of the guests. 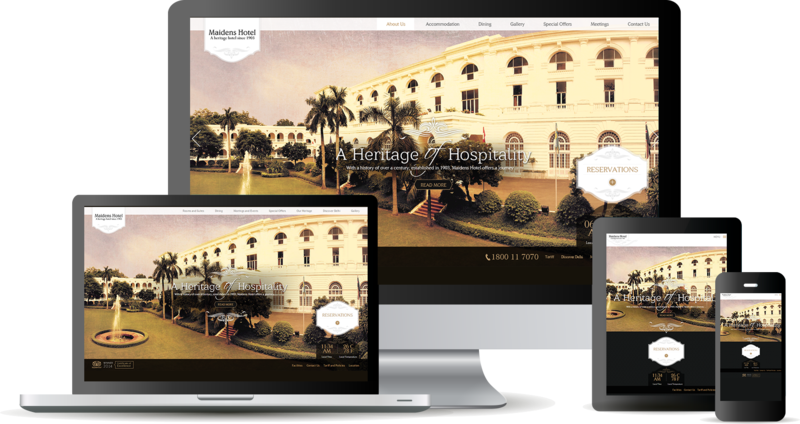 We made the website responsive across all devices and the services were tailor-made according to the respective needs of the guests. We paid special importance to the content and images as with one glimpse of these elements, one is able to get a whiff of the actual experience at Oberoi Maidens. 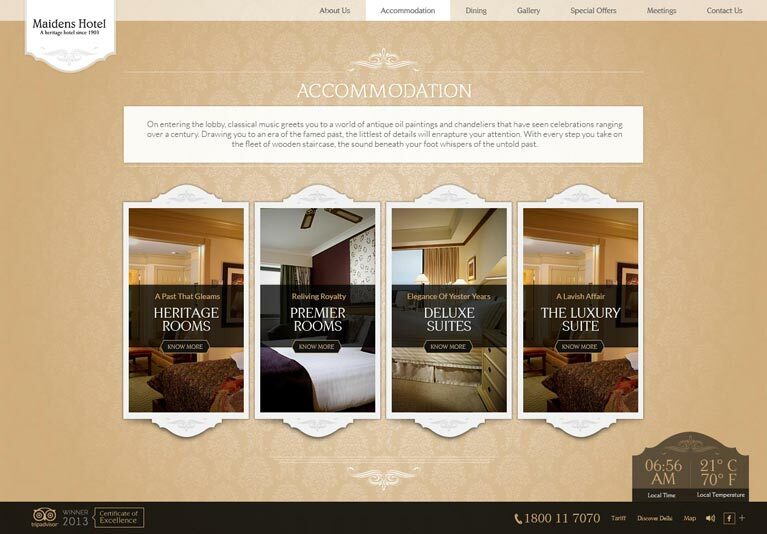 Our commitment to deliver excellence had us spend endless hours at the property soaking in the grandeur and the timeless tales told by each room that’s witnessed an era gone by and ensuring we craft an online experience that truly reflects this old world charm. With the intricate nuances of the truly luxurious property so intricately interwoven in the web space, we brought alive a world as drenched in grandeur as the property itself.